I am a tarot reader/intuitive. I have been intuitive my whole life, and often see words and images, but sometimes I hear information as well. I have been reading the cards now for over 16 years, and know I can help you! Brenda, you deserve 10 stars! Your readings are incredibly on target. Anywhere from individuals personalities to outcome of situations. Thank you for sharing your gift. Truly on spot, honest and kind. I will followv your suggestions and keep you posted. Much Love! WELCOME INTUITIVE READINGS available here! I am an INTUITIVE tarot reader, with strong abilities in reading the subconscious of either the caller or the persons involved with the caller. I have been reading the tarot for over 16 years professionally; I have been psychic my whole life. 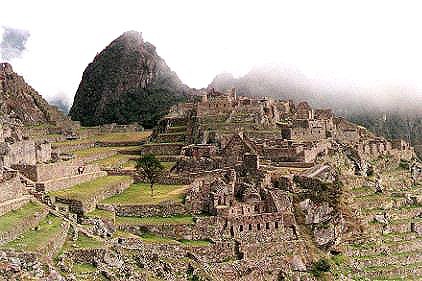 In 1998, I took an incredible, mystical and life-changing trip to Peru and Macchu Picchu. After that trip, my spiritual gifts increased dramatically! 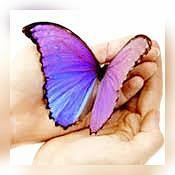 I am gifted at reading both personal and professional/employment relationships and situations. I also do energy work (Reiki), access information through my dreams (I have had many PSYCHIC dreams), and I see auras. I don't boast 100% accuracy, nor will I get every single detail, but my clients say that I am accurate, honest and patient. Timing is not my specialty; there are too many intervening factors, including either action or inaction by the caller; I am better at predicting events; in particular, I do not answer "when is he/she going to call." I don't conduct "general" readings. The cards are much more conducive to specific questions. Please have your questions ready when you call. Thanks. I believe in synchronicity, meaning that there are no accidents in life. There are no coincidences. THERE IS A REASON WHY YOU WERE DRAWN TO MY SITE. I am not judgmental and will discuss ANY issue with you. I don't do email readings. I don't find lost objects. I do read the subconscious of people, and that is my gift. If you use me correctly, asking questions toward my gift, you will most likely have a positive experience that helps you gain understanding. I read from the Cosmic Tarot Deck. I also read from 7 other decks, but it is this deck which "speaks" to me. I TRULY BELIEVE THAT YOUR ANGELS, ALONG WITH SPIRIT, GUIDE WHICH CARDS COME TO ME DURING YOUR READING. Per the prohibition stated in Keen Member Agreement, various state statutes, and because I am not a medical intuitive, I do not read on any health issues, including any and all pregnancy-related questions. Call Now with your specific questions regarding: love & relationships, career, business & finances, and all other issues. DISCLAIMER: Any information and/or advice given during readings you receive from me is purely for ENTERTAINMENT PURPOSES ONLY. Any prediction and/or message that you receive is not a substitute for advice or treatment that you would normally receive from a licensed professional such as a lawyer, doctor, psychiatrist, or financial adviser. I provide no guarantees, warranties, or assurances of any kind, and will not be responsible for any interpretation made or used by the recipient of the information and advice mentioned above. You must be 18 years or older to call this line. Serenity Guidance has been a user of Keen since 2002. Getting Life Questions advice from Serenity Guidance through www.keen.com is safe, secure and confidential.